Supreme Court of India on Tuesday held that NOTA (none of the above) option cannot be allowed in Rajya Sabha Elections. "The option of NOTA may serve as an elixir in direct elections but in respect of the election to the Council of States which is a different one as discussed above, it would not only undermine the purity of democracy but also serve the Satan of defection and corruption. ", said the Bench. 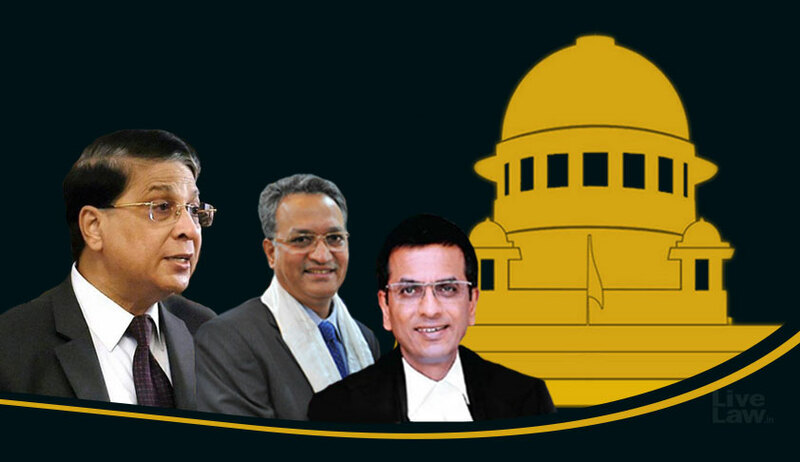 The three-Judge bench of Chief Justice Dipak Misra and Justices AM Khanwilkar and DY Chandrachud allowed the plea challenging the Election Commission’s circulars making NOTA (none of the above) option applicable to Rajya Sabha election. "NOTA will destroy the concept of value of a vote and representation and encourage defection that shall open the doors for corruption which is a malignant disorder. It has to be remembered that 32 democracy garners its strength from the citizenry trust which is sustained only on the foundational pillars of purity, integrity, probity and rectitude and such stronghold can be maintained only by ensuring that the process of elections remains unsullied and unpolluted so that the citadel of democracy stands tall as an impregnable bulwark against unscrupulous forces. The introduction of NOTA in indirect elections may on a first glance tempt the intellect but on a keen scrutiny, it falls to the ground, for it completely ignores the role of an elector in such an election and fully destroys the democratic value. It may be stated with profit that the idea may look attractive but its practical application defeats the fairness ingrained in an indirect election. More so where the elector‘s vote has value and the value of the vote is transferrable". The petition was filed by Congress Chief whip Shailesh Manubhai Parmar during Gujarat Rajya Sabha polls. Mr. Parmar submitted that the Election Commission’s decision to introduce the option is “ex facie illegal”, and is against the provisions of Article 80(4) of the Constitution (Regarding election to the Council of States), the Representation of People Act, 1951 and the Conduct of Election Rules, 1961. Such provisions, it says, cannot be bypassed by an executive order passed by the Election Commission of India. It can only be done with requisite amendments to the Act and the Rules. The Petition further contends that the Supreme Court judgment in the case of PUCL v. Union of India, 2013 (10) SCC 1 was rendered in the context of general elections, and the same cannot be applied to the case at hand. “…there is a distinct difference in the manner and mechanism of elections to the Lok Sabha vis-a-vis Rajya Sabha. While the former is a case of direct elections, where the exercise of NOTA is an expression of the will of the people, in the latter case i.e. in case of elections to Rajya Sabha, it defeats and renders nugatory the mechanism of proportional representation by means of a single transferable vote as envisaged under the Constitution. As such allowing the option of NOTA for elections to Rajya Sabha results in irreparable loss…,” it contends. It is also submitted that the use of NOTA completely militates against the express provisions of Article 80(4), the provisions of the Representation of People Act 1951 and the Conduct of Election Rules, 1961. "Article 80(4) provides for indirect election to the Rajya Sabha by the Members of the Legislative Assembly of the State in accordance with the system of proportional representation by single transferable vote. The system of NOTA is entirely incompatible with the system of proportional representation envisaged by the Constitution". According to the petition, the system of NOTA makes the system of proportional representation by means of single transferable vote nugatory and otiose and cannot be made applicable in Rajya Sabha Elections. The use of NOTA cannot be sanctioned by way of the impugned circulars which has the effect of overriding the provisions of Article 80(4), the provisions of Representation of People Act 1951 and the Conduct of Election Rules 1961. "In any event, the use of NOTA cannot be made applicable without the necessary amendments in the Act and Rules and any use of NOTA would directly violate Rule 37 A(2) in particular and other Rules mentioned herein above. The PUCL judgment was only concerned with direct elections and the implementation of NOTA option in the General Elections. The ratio thereof cannot apply to indirect elections which is not based on universal adult suffrage but is on the basis of a collegium of elected representatives casting open ballot by a system of proportional representation by means of single transferable vote". Mr. Parmar, therefore, demands that the impugned circular be quashed, as being against the provisions of the prevailing Act and Rules made thereunder. An interim stay has also been demanded, in view of the elections to be held on 8 August.